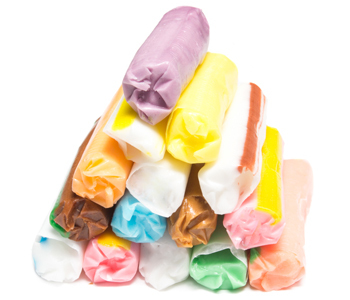 Try our homemade, pulled Salt Water Taffy where you get a taste of sweet candy along with the feel of being at the seashore on a summer day. Our Salt Water Taffy comes in over 20 different flavors and you can select your own mix or buy one of our assorted gift boxes to satisfy everyone’s sweet tooth. Select the assorted variety box of Salt Water Taffy which contains all of your favorites from the shore. 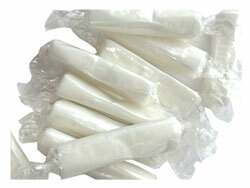 Our Salt Water Taffy is guaranteed to satisfy your sweet tooth and leave you wanting for more.